if youre frustrated and dissapointed everthing is normal. The thing about this event is that multiple folks were in the room when they decided to make the "prizes". Think about that. It was not one person, maybe waking up after a bad night out. No, this was a group of folks. 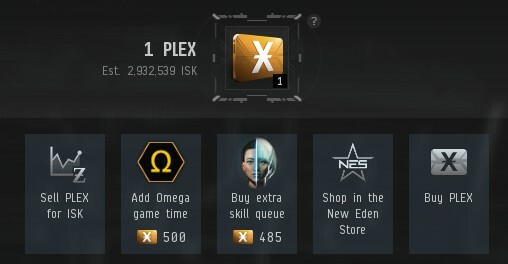 One of them must have suggested the number of four plex as a major prize, second from top prize, which is a skin that only fits one race. And then, after somebody suggested that number, somebody else agreed. Somebody heard that and said "Yes, I think that is also a great way to please players. Let's give them 4 flex as the second best prize. it is four times a great as the first prize they received. they will be amazed and full of wow for our amazing talents at CCP. We will probably get bonuses and awards for game design." A whole group of folks told each other that they thought this was a way to incentivise customers and build the reputation of the game amongst the public. Blows my mind. i feel like that guy who got stabbed by the toaster he designed to cheat on the nerd he employed. In that movie. Even better, this group has a future in Eve. They are planning even greater things for the coming months. So the grand prize in this event is a skin for a tech 3 ship that very few folks can fly, relative to EVERY OTHER SHIP CLASS. Furthermore, it is grey. It is a grey skin, with grey tones to offset the grey. Guess what colour the stock standard skin is? So, to be clear, the folks who organised this event decided to offer, as the GRAND PRIZE, a skin that looks exactly like the stock standard skin. For a ship not everybody can fly. I'm not being unkind here. Look for yourself. I guarantee you, nobody could possibly tell the difference between these skins by looking at any footage of in game combat. We can even test this, if anyone is interested. We can have two tongues flying around with the different skins, and run an A B test to see who can guess which was which, at the end of watching a fight. CCP are trolling their customers. So many folks at this company have downed tools and are actively seeking to harm the IP. The Agency Event is easily the worst effort at promotion I have ever witnessed. This is a direct FU from the staff to the owners. this is telling the owners what the staff think of them, by insulting and degrading the customers. Time for wholesale changes at CCP. in fact, long past time. Put me in charge for a day, I will give you all at CCP grey tengu skins. Starting with the directors, who have completely lost control of the company. Whilst I agree the event is very poor, I also have to disagree with your huge assumption on what the staff are saying to the owners and how the company is run! As for the Directors losing control of the company, The only thing I did when I read your quote was ROFL! It is meant for new players really but some things are just a but silly like so a complex in a t3. Why would anyone risk taking t3 into a complex for literally no benefit. I have to say the content creators at cap have literally no imagination or anything. It's the most dull thing to be created and yes the rewards are painfully bad. What's wrong with this event? Before downtime the timer showed it was supposed to end today, 01.08. After downtime, it has 6 more days? Yeah, what gives, CCP? I'm at 428 points (without even trying) and wondering when the next prize threshold is... do I get a tengu to go with the skin? since the devs have abandoned the old forum to answer yoour question ccp admitted it was a buggy mess and they screwed up bad and dont know how to fix some of the bugs with it atm so they extended the event.